Bryan Parker burst onto Oakland's political scene last spring with a stunt that garnered considerable publicity. The former tech and health-care exec publicly vowed to challenge Jean Quan in the 2014 mayor's race if donors would contribute at least $20,000 to his campaign in ten days. Using the crowdfunding site Crowdtilt, Parker reached his goal in less than 24 hours — and then exceeded it, raising $59,000 by July 1. Since then, he's hauled in more cash than any other Oakland mayoral candidate. 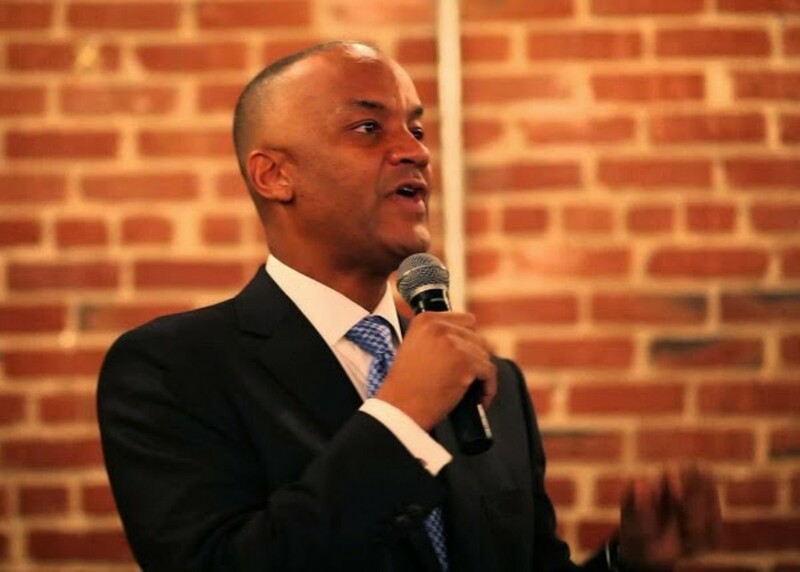 As of December 31, the most recent campaign filing deadline, Parker, who was appointed to the Oakland port commission by Quan, had raked in a total of $184,724, outdistancing the mayor, who had raised $160,834. San Francisco State University professor Joe Tuman hauled in $155,300. Oakland Councilmember Libby Schaaf, who entered the race in late 2013, pulled in $124,210 in a little more than a month of fundraising. The two other major candidates in the race — City Auditor Courtney Ruby and civil rights and labor attorney Dan Siegel — entered the contest after the filing deadline, so their fundraising totals are not yet public. Parker's position as the frontrunner in the mayoral money race is somewhat surprising considering that he has never held elected office and was largely unheard of prior to his Crowdtilt campaign. Quan, by contrast, has held elected office for nearly two decades, first as an Oakland school board member and then as a member of the Oakland city council, before being elected mayor in 2010. Tuman is also relatively well known. The longtime television news analyst ran for mayor in 2010. Schaaf, meanwhile, was elected to the council that same year and has been active in Oakland politics for more than a decade. And Ruby is the only other candidate in the race besides Quan to win a citywide contest. As for Siegel, he was twice elected to the Oakland school board and has been a prominent East Bay attorney and political activist for decades. Although Parker's fundraising prowess is noteworthy, it's unclear whether it will translate into electoral success. Several polls have shown him running no better than fourth place. "Fundraising is one thing, getting elected is another," said Barry Barnes a longtime Bay Area political strategist who managed Berkeley Mayor Tom Bates' winning campaign in 2012. 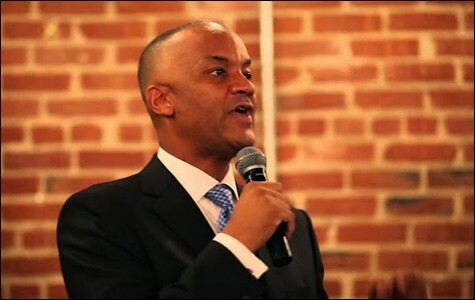 Barnes also believes that the $400,000 spending cap in Oakland's mayoral race will prevent Parker from leveraging his campaign treasury effectively against the other candidates. What also may hurt Parker, Barnes said, is the bare-bones nature of his platform and his lack of experience in public office. "A candidate will be judged by their platform and accomplishments more than their fundraising prowess," he said. Although Parker has held house parties and knocked on doors in each of Oakland's council districts over the past several months, he remains a mystery to many city residents. In an interview, he espoused several different political positions, a few of which seem to contradict each other. For example, he championed the virtues of supply-side economics, sounding like Ronald Reagan or a chamber of commerce CEO. He also said he opposes a plan to raise the minimum wage in Oakland to $12.25 an hour. But he also invoked Martin Luther King Jr., saying he wants to shut down the prison-industrial complex. When speaking, Parker often gets ahead of himself, enthusiastically laying out half of one idea, then interrupting himself to explain half of another before pivoting to make an entirely different point. His enthusiasm and earnestness are apparent. To date, however, Parker hasn't released any detailed information about his political platform. Other than a few disparate blog posts and a couple of YouTube videos, his ideas about how he would run Oakland and solve its many problems remain unknown. He says he'll kickstart job creation and make the city safe. He also says he's concerned with poverty and inequality, and that he wants to unite the city around progressive values. But he has yet to reveal how he plans to accomplish those goals. In an effort to understand what Parker would be like as mayor, we decided to look where he does have a record: the private sector. And what emerges is a portrait of a man who enjoyed success as a top executive of a giant health-care company that depends heavily on federal taxpayer subsidies and has paid out hundreds of millions of dollars in legal settlements stemming from allegations of fraud, wrongful death, and corruption. What also came to light are his ties to companies that hope to profit from Bitcoin, a highly volatile and controversial cryptocurrency that Parker says may be the secret to helping Oakland residents escape from poverty. After graduating from NYU law school in 1995, Parker began his career at a business law firm working closely with corporate clients. From there, he jumped to Wall Street, working as an investment banker from 1998 to 2003, first at Merrill Lynch and then at SG Cowen. His first executive job at a tech company was with iPass, Inc., a manufacturer of communications equipment. Parker's LinkedIn page explains that he "played a central role in the process of [iPass] going public." iPass's initial public offering did quite well: Share prices soared 58 percent in its first thirty days of trading, from $17 to $27. But since then, the company has fallen on hard times. Today, iPass's shares trade for a mere $1.53, and last year the company lost $3 million. After the iPass IPO, Parker went back into investment banking, where, by all accounts, he was a very successful dealmaker and financier. After a stint at the helm of another tech company, he landed a high-level job in 2009 at DaVita, a large health-care corporation. It was at DaVita where Parker's business skills shone brightest. He spent five years overseeing a crucial part of the company's business operations as vice president of real estate and internal growth. "I took it from a $400 million business to a $800 million division," said Parker. "I'm really proud of Foothill Square, a brand new DaVita center that's opening here in Oakland," he added, referring to a new DaVita clinic in East Oakland. "That's sixty to eighty living-wage jobs." DaVita became extraordinarily profitable under the leadership of CEO Kent Thiry, who took over the struggling company in 1999 when its total annual revenue was around $1 billion. In 2009, when Parker came on board, DaVita had roughly $6 billion in yearly revenue. Last year, DaVita's revenues were almost $12 billion. Investment guru Warren Buffet recently increased his holdings in DaVita by more than 23 percent. Parker helped lay the groundwork for this success, and he thinks his skills will translate into running a city. "Oakland has a billion-dollar budget," he said. "City Hall is broken." Parker talks about the public sector as you'd expect a Bay Area businessman would. "Innovation has to be a part of your DNA," he said. 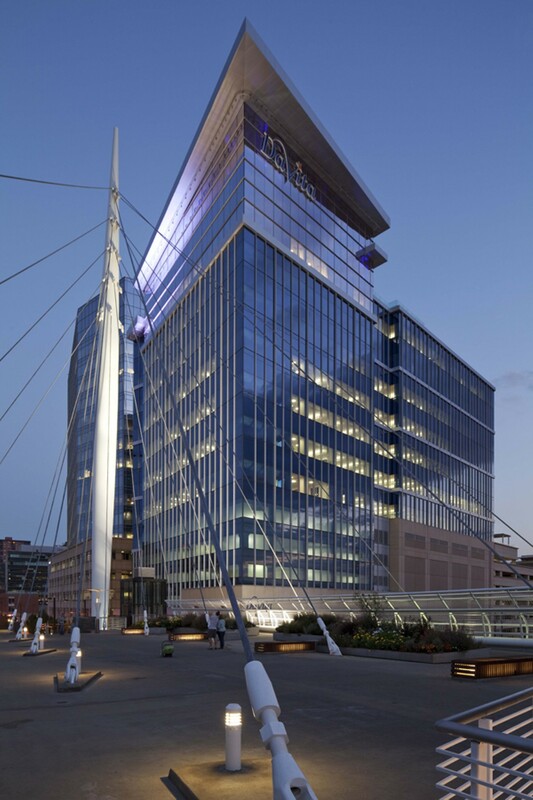 At DaVita, Parker was a member of the Hilton Group, a prestigious circle of high-level executives. He was also steeped in DaVita's corporate culture, a culture that includes a wacky love for the Three Musketeers. DaVita CEO Thiry often dresses up as a Musketeer — sword, cape, the whole nine yards — for corporate gatherings. The company's "team members" (employees are told not to call themselves employees or workers) are encouraged to shout swashbuckling mottos like "all for one, and one for all!," and "if we must dialyze, let it be like this!" when talking about their work. Everything is growing at DaVita: Stock values, income, the number of clinics. But there's a dark side to the Denver-based company's expansion: DaVita has been rocked by numerous lawsuits that have alleged malpractice, wrongful death, Medicare fraud, corruption, harassment, and retaliation. The company also has been the target of federal and state investigations, and has paid hundreds of millions of dollars in legal settlements. DaVita's business model is founded on federal health-care subsidies. 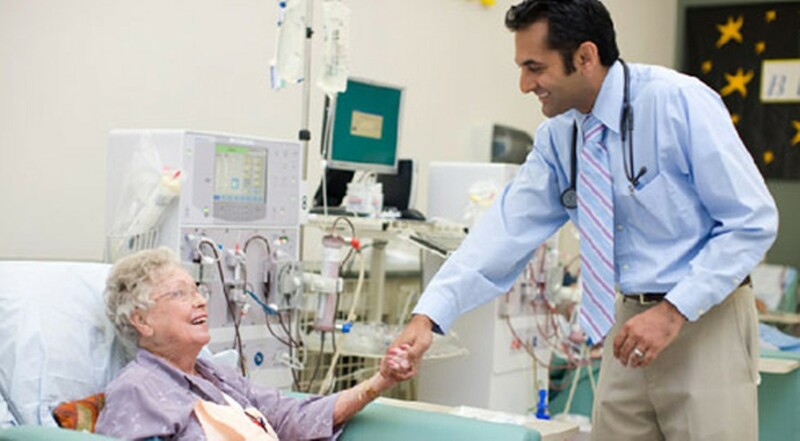 With the passage of the Social Security Amendments of 1972, Congress extended Medicare coverage of kidney dialysis to anyone with End Stage Renal Disease (ESRD — more commonly known as chronic kidney failure), regardless of age. The company's annual report shows that Medicare and Medicaid reimbursements made up 58 percent of DaVita's revenue last year. According to the company's many critics, DaVita's ever-growing profitability relies on lowering the operating cost of dialysis treatment, a goal that runs counter to patient welfare. And when DaVita pushes the line of legality a little too far, into the gray zones of fraud and neglect, it has a history of silencing allegations with cash. Last year, DaVita allocated almost $400 million to settle legal disputes, and many of these included nondisclosure agreements that forbid people from talking publicly about their allegations against the company. "DaVita is a well-run organization," Parker said. "Look at any of the biggest healthcare companies and you'll see similar types of things they're involved in, similar problems." According to Parker, DaVita actually loses money on its Medicare and Medicaid patients, and earns its profit instead from privately insured patients. "DaVita is doing an extremely valuable service for the country, but yes, it's involved in lots of [litigation]," he said. Larry Hall of Wilmington, North Carolina is writing a book about his experiences as a DaVita dialysis patient. He's calling it Blood Money. Hall started receiving dialysis treatment from the Southeastern Dialysis Clinic in 1998. After DaVita acquired the clinic in the early 2000s, he noticed changes in the quality of care: The number of patients per medic increased and the level of technician experience decreased. Due to the invasiveness of dialysis, any error by a nurse or medical technician can be dangerous. Hall said that it was common for one DaVita technician to be responsible for hooking five patients to machines and monitoring them simultaneously. "It felt like we were on an assembly line, getting us on and off the machines," he said. In 2005, Hall discovered that a social worker was having patients sign a release form that allowed the clinic to rinse out and reuse their dialyzers, the tubular filter that cleans a patient's blood. Although all dialysis patients have the legal right to request a single-use filter, which assures the dialyzer is sterile, Hall said DaVita staffers were not informing the patients of their rights or explaining the contents of the release. "I told other patients, 'We have a right to get a new [filter].' They weren't telling people that," Hall said. "After that, that's when stuff happened to me. They were harassing me, using the wrong meds, wrong needles .... It was retaliation, yes." Shortly after, a DaVita nurse stopped administering the drug Heparin, a commonly used anti-coagulant and blood thinner that helps prevent clotting and increases the efficacy of dialysis. For 42 treatments, Hall was dialyzed without the doctor-ordered drug. When he discovered why he had been exhausted for three months, he sent an official complaint to the North Carolina Department of Health and Human Services. The agency investigated the clinic and substantiated Hall's allegations. California's Fair Political Practices Commission (FPPC) has no rules or guidance on crowdfunding or Bitcoin donations to political campaigns. 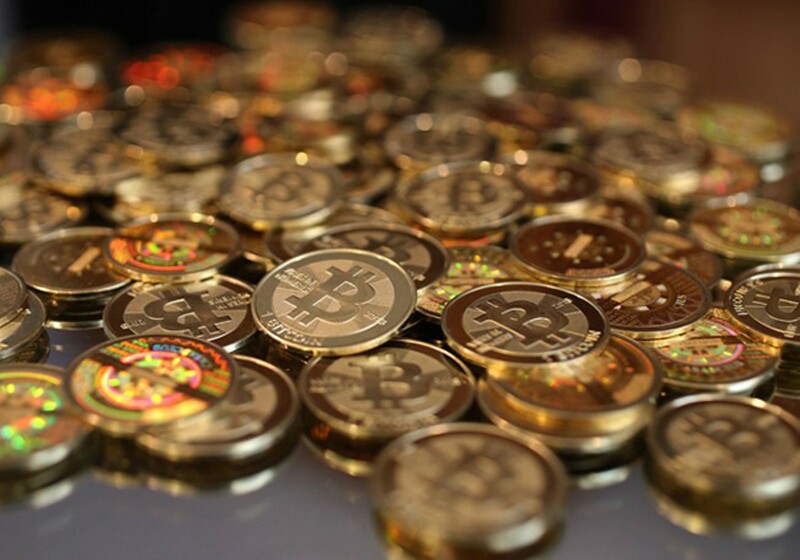 "It's still being discussed as to what the legalities are," Jay Wierenga, a spokesman for the FPPC, said of the Bitcoin contributions. Parker said his campaign receives Bitcoins through a third party that converts them into cash, and then he discloses the contributions on his campaign filings. Parker praises what he calls "disruptive" and "innovative" technologies like this, but he said he recognizes the need for regulation. Parker's interest in Bitcoin also goes beyond his own campaign finances. He said he plans to make the cryptocurrency a part of his economic plan for the city. In a YouTube video recorded at his Santa Monica fundraiser, he tells the audience, "We have a jobs plan that talks about creating 20,000 jobs by the year 2020. Technology is going to be one of those sectors. Clearly, ... Bitcoin ... if it continues to emerge, it can be an important catalyst in the growth of that technology sector, a sector that will provide jobs, good living-wage jobs to Oaklanders across a number of socioeconomic classes." Parker added that he thinks Bitcoin can "create a culture of saving" among impoverished Oakland residents, lifting them out of poverty. We asked Parker to expand on this thought. He said, "Bitcoin gives us an avenue to get to the chronically under-banked." He pointed to the plethora of check-cashing stores in Oakland that exploit low-income people with usurious loans, and said he'd like to put restrictions on these kinds of businesses. He said he would then like to extend Bitcoin banking and payments technologies to the working poor. However, academics who have studied Bitcoin scoff at Parker's proposal. "This sounds pretty silly," said David Yermack, professor of finance at New York University's Stern School of Business. "Whatever benefits Bitcoin may have won't apply any more to Oakland than they would in Denver or Peoria or anywhere else." Yermack has studied closely the economics of Bitcoin and concluded that it more resembles a speculative asset investment than a currency. "The main exchange on which Bitcoin is traded [Mt. Gox] has come under attack from hackers, and I think the episode has highlighted the limits and vulnerabilities of Bitcoin in pretty dramatic fashion." Aside from hackers and faulty exchanges, the value of Bitcoin has wildly fluctuated, making it an incredibly volatile investment — the exact opposite of what might help extend credit and banking services to the poor. Parker also has said he would consider making city salaries payable in Bitcoin. "As the markets evolve, assuming that it keeps this democratic purpose that it has, I can see it being a currency that you exchange for goods and services," Parker told Bitcoin Journal in an interview. "I think it's not far off that you could see it as a salary." It also turns out that extending Bitcoin banking services would benefit companies linked to Parker's friend and fundraiser Brock Pierce. A former child actor who starred in First Kid and The Mighty Ducks, Pierce became a venture capitalist after his acting career tailed off. One of Pierce's first businesses was IGE, a company that sold virtual goods in the online game World of Warcraft. In the early 2000s, Goldman Sachs made an equity investment in IGE, valuing the company at $200 million. Pierce's co-founder sued him, claiming theft and fraud. After several years of legal wrangling, Pierce ended up selling the company and reincorporating some of its assets under a new firm called Affinity Media, Inc. Parker served as chief operating officer. Goldman Sachs was an investor. Today, Pierce has investments in multiple companies that are trying to monetize Bitcoin including BitGo, Inc., Robocoin Asia, Expresscoin, KNCminer.com, and GoCoin, the company that collects Bitcoin contributions for Parker's mayoral committee.